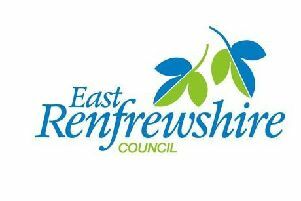 An ambitious vision for East Renfrewshire Culture and Leisure Trust (ERCLT) has been agreed by councillors. Following the creation of ERCLT in July 2015, a business plan has now been approved by councillors which sets out the ambition of becoming the highest-performing leisure trust in Scotland. The second ERCLT business plan gives a clear strategic direction that will guide the work of the Trust and its staff to deliver high quality services to the residents and communities of East Renfrewshire. Services which transferred from the council to ERCLT include sports centres, libraries, community halls, sports and arts development, Active Schools and Eastwood Park Theatre. Councillor Mary Montague, depute chair of ERCLT Board, said: “The Trust has now been up-and-running for 18 months and the council is delighted to see how well these services continue to be delivered. At the mid-year point of this second year, the Trust remains on track to achieve its targets and I look forward to seeing the business plan kick into action as we continue to strive for improvement. Anthony McReavy, chief executive of ERCLT, said: “By setting out these key themes within our business plan it will support the Trust to continue improving and also reflects our shared ambition to grow culture and leisure services in East Renfrewshire.